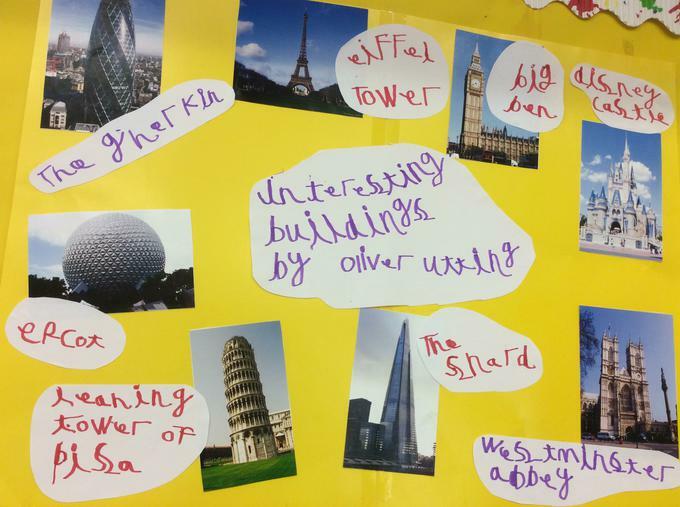 This half term we shall be exploring the topic, 'How does that building stay up?' 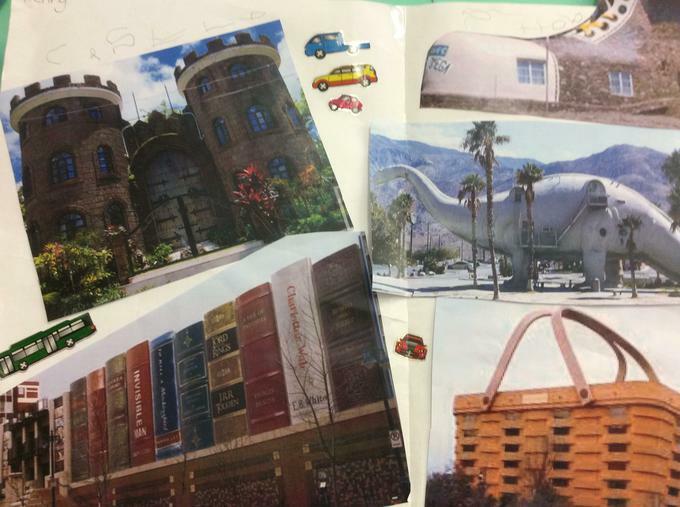 For homework we investigated unusual buildings. 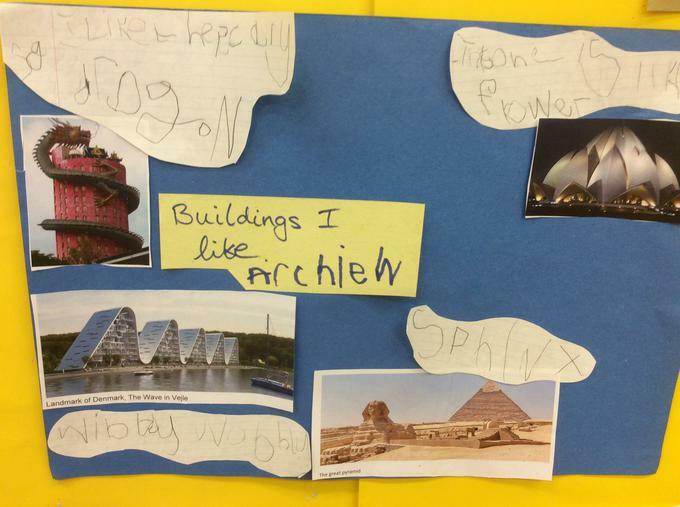 We had some amazing research undertaken by the children which has given us a wide variety of different buildings that can be found around the world. 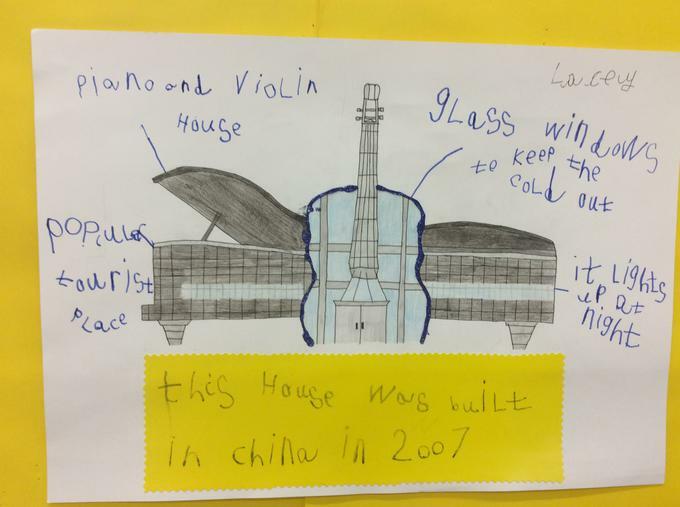 We shall look forward to seeing more of the great work from the children. 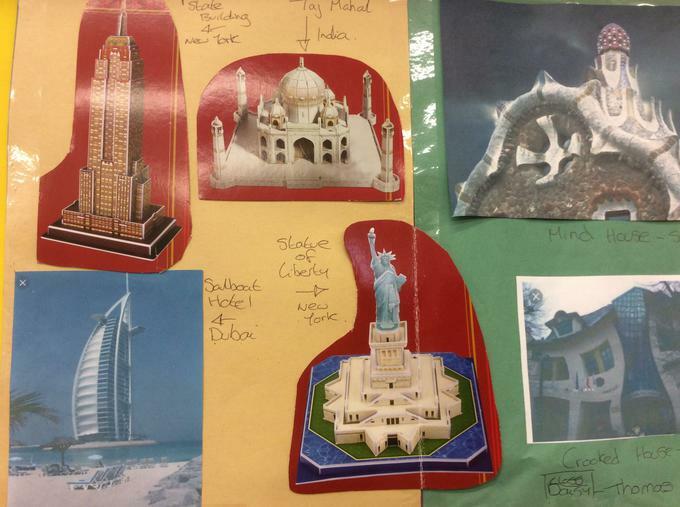 Come and have a look at the display in the creative area! This week we have been reading the book , Window by Jeannie Baker. It is unusual as it has no narrative . 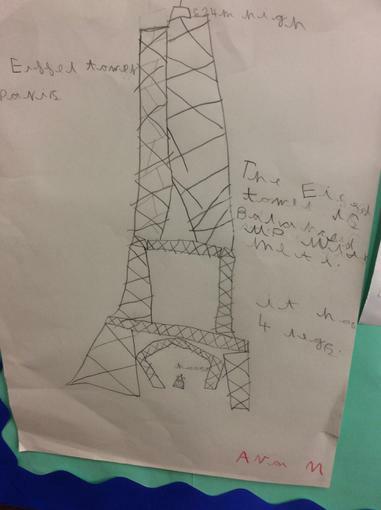 The story is told via pictures, beautifully drawn and detailed. 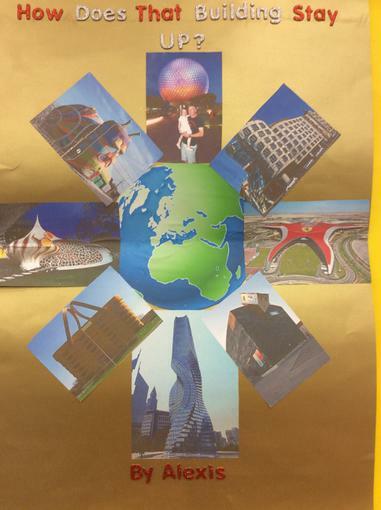 It tells the story of how we are changing the world, by building over green spaces. 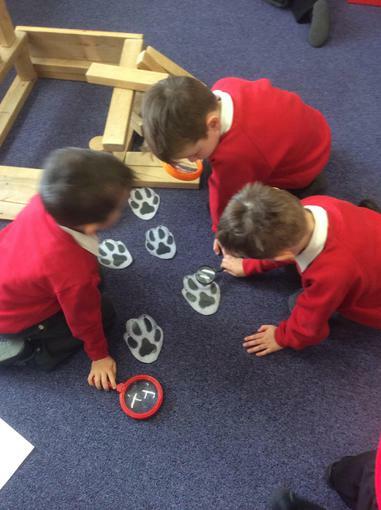 The children had to look very carefully and were able to discuss what was happening over time. 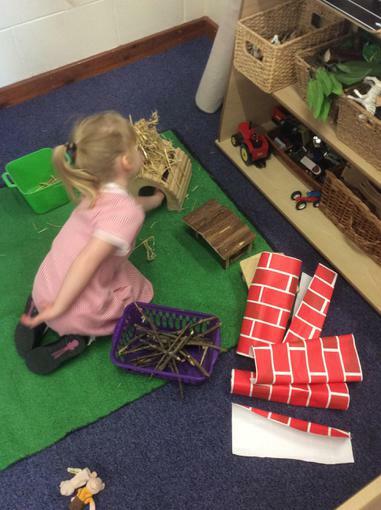 We have been continuing our building theme and the children have become more involved in the planning of the things they intended to construct. 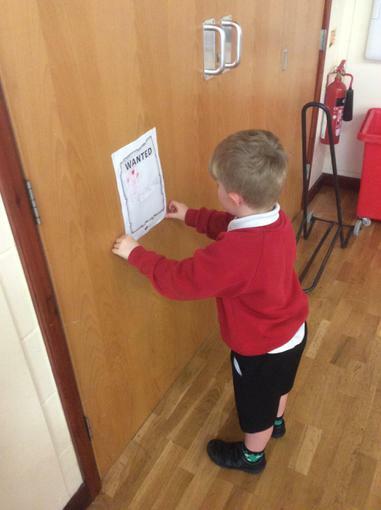 They then worked individually or together to put their plans into action. 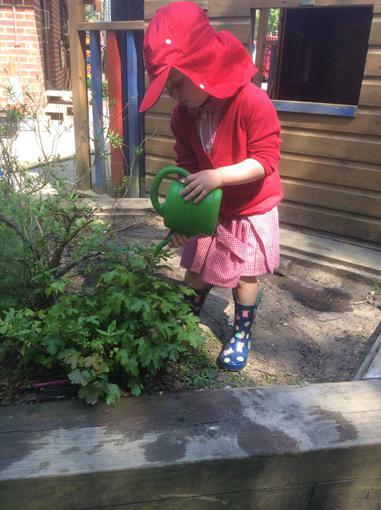 Things are blooming all over the garden and the children have been observing the changes that have been occurring. 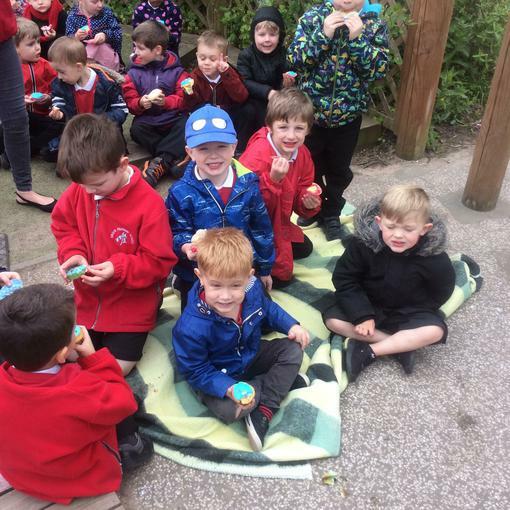 We have seen buds, blossom, leaves , but not much grass ! 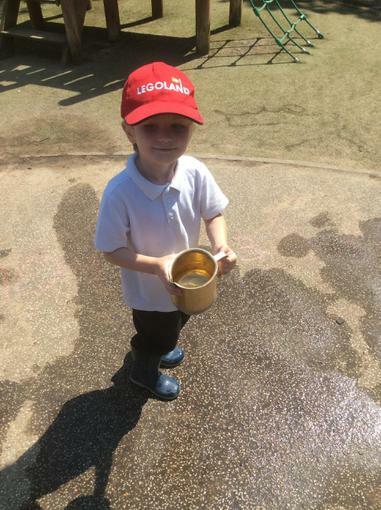 This week we welcomed Jude Twani who is supporting the school to enhance provision in the Early years by promoting independent learning. 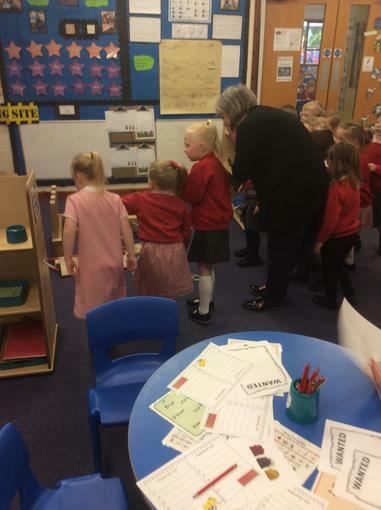 She has provided advice on how to plan the environment and was very pleased to see how well the children are using the changes. 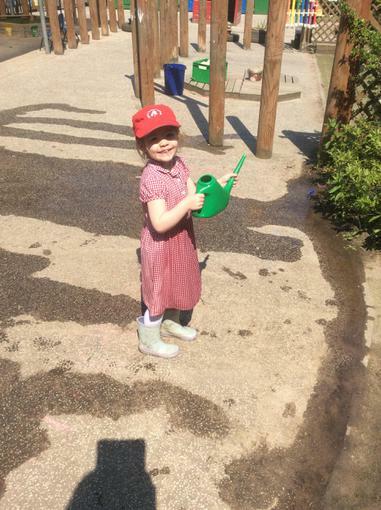 They were exploring the outdoor environment and she couldn't resist spending time with our children who she pronounced as 'amazing' and 'delightful'! But we already knew that! Feel free to come and view the changes yourself we hope you like them too! 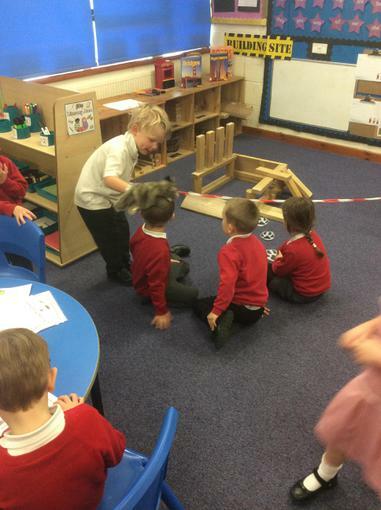 As well as just having a chat! 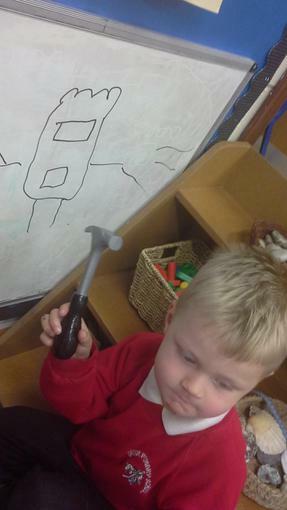 We have continued learning through our topic 'How does that Building Stay Up?' 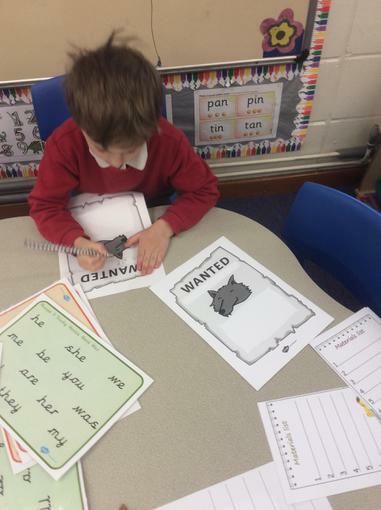 This week we have used the book 'The Three Little Pigs' to explore the topic further and used Talk4Writing to learn and then re-tell the story. 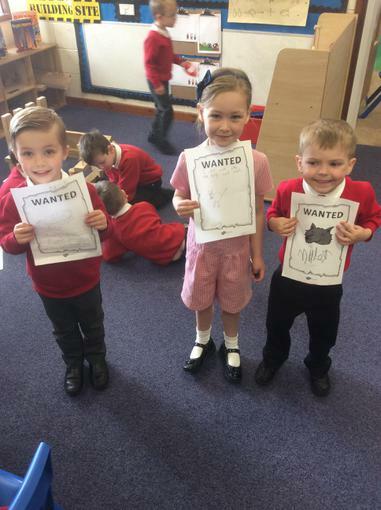 The children have used a story map and actions to tell the story and have been using the story during their independent learning. 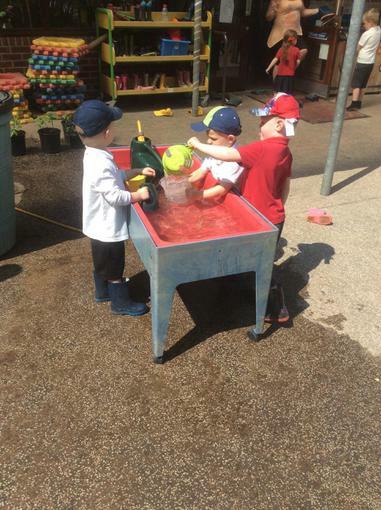 The boys were filling the hole with mud to get rid of the water so it was safe. 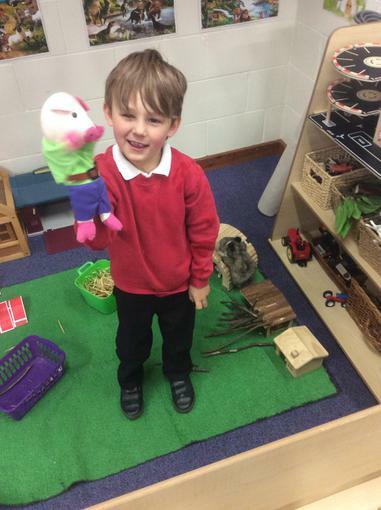 They said that the Three Little Pigs love to roll in the mud. 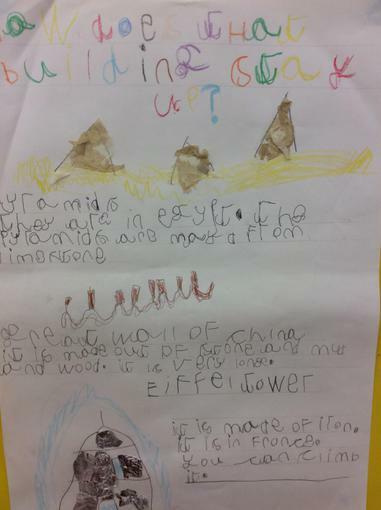 A wonderful attempt at writing a sentence! 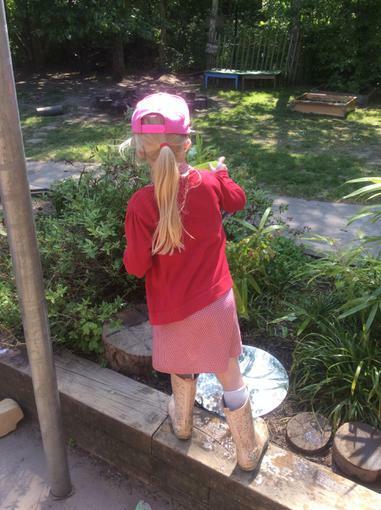 We have a new investigation area and the children have been taking responsibility to look after the herbs. 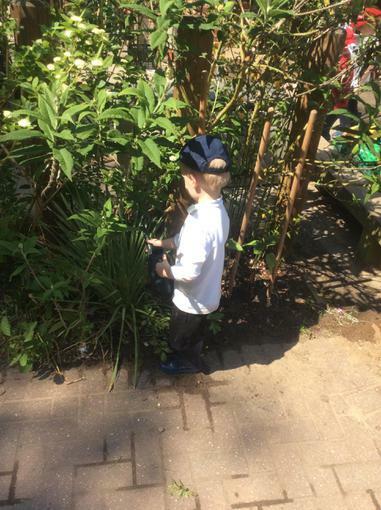 They have been watering them because they noticed the soil was drying up and the plants were wilting. 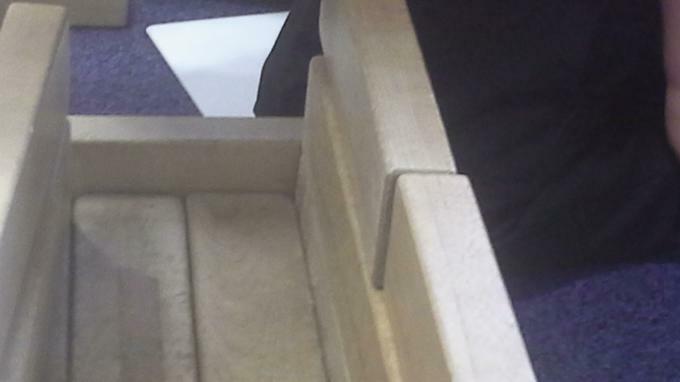 We have also thought about the smells that come from the herbs and what they are used for. 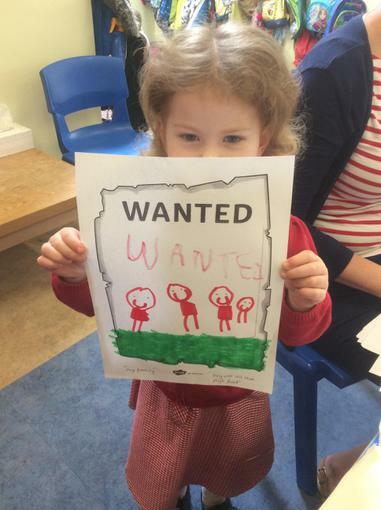 The children have been creating super pictures using the new art materials. 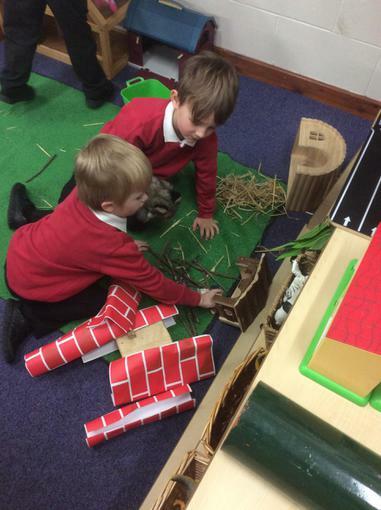 There has been lots of reviewing and adapting to make improvements to their creations. 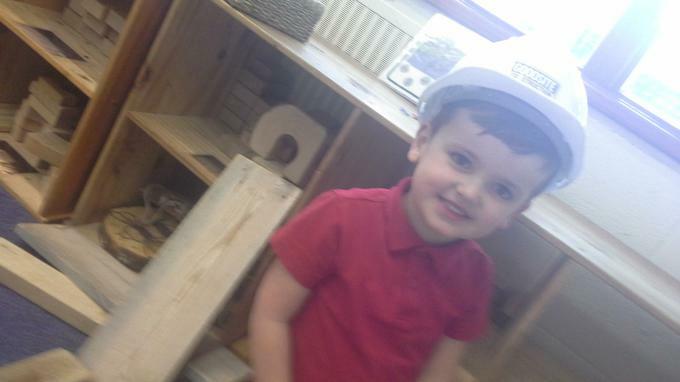 Who blew the house down? 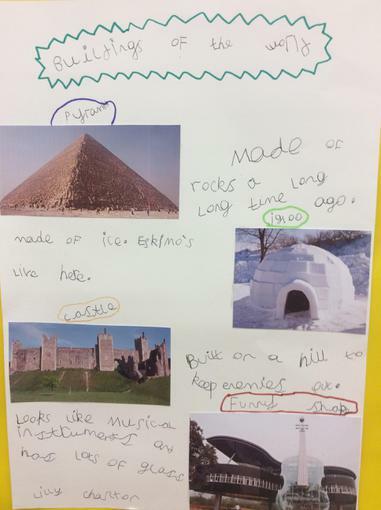 This week we adapted our talk 4 writing and changed the characters and some of us changed the materials for the buildings. 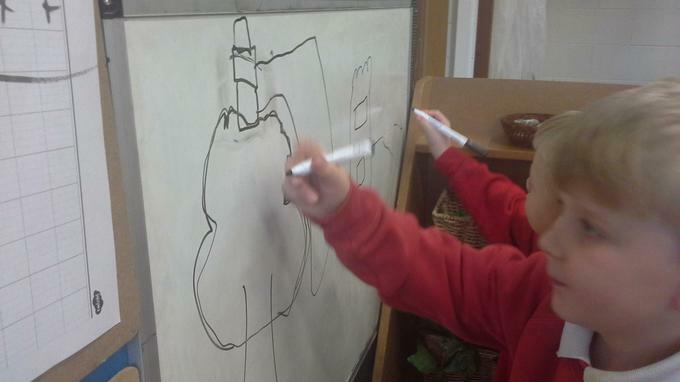 The children came up with lots of different ideas for example the 3 unicorns and the big bad Elsa. 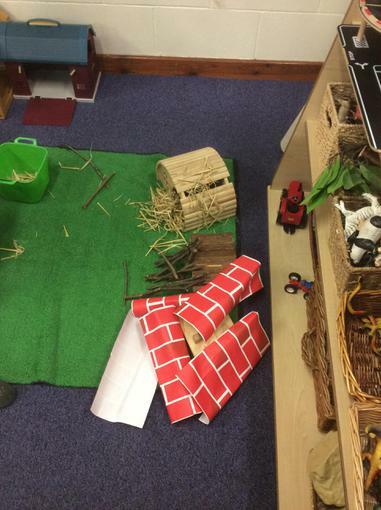 On Wednesday night someone blew the house down! 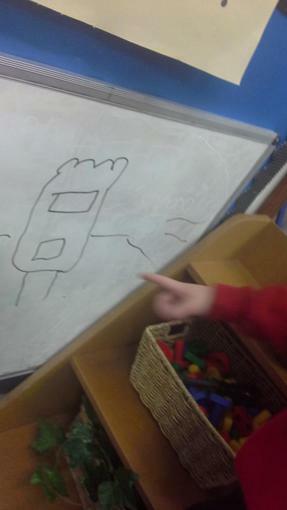 We had a big discussion on who the children thought blew the block house down. 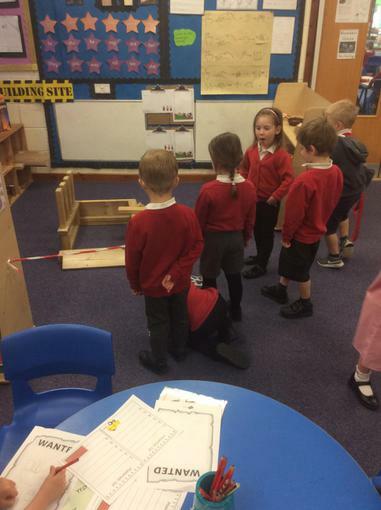 The children were then set a task to be detectives and find clues to who blew the house down? 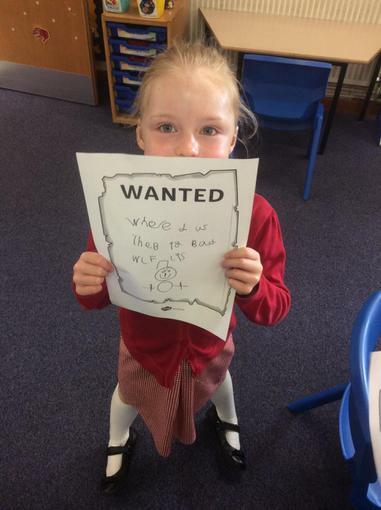 They made wrote their own sentences on to 'wanted' posters and stuck them up around the school so other children and staff could help us if they had seen anything. 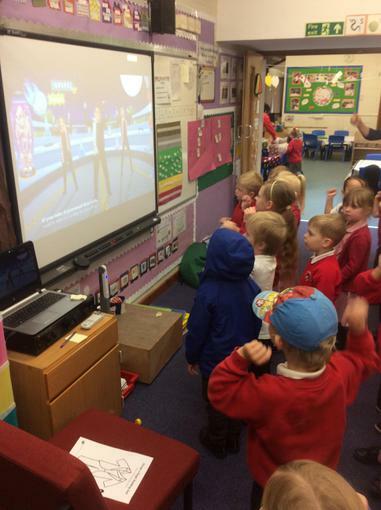 The children were so excited by this! 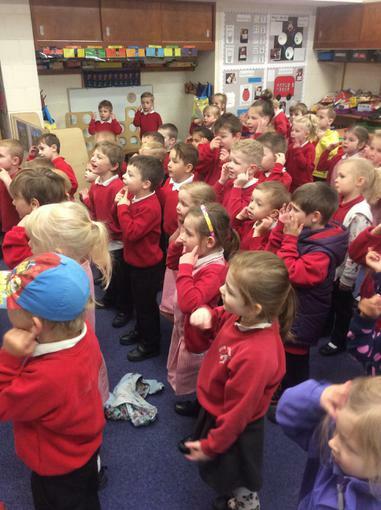 Lots of the children were engaged with retelling the story of the three little pigs using the small world resources. 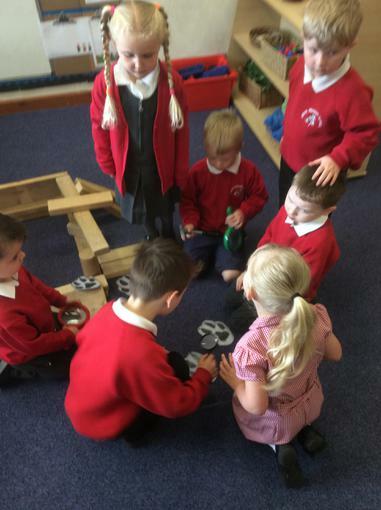 The children remembered the language well and were reenacting with their friends. 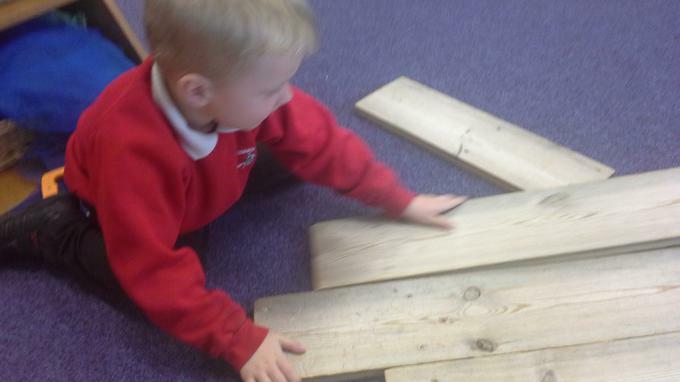 This week we had new boards delivered! 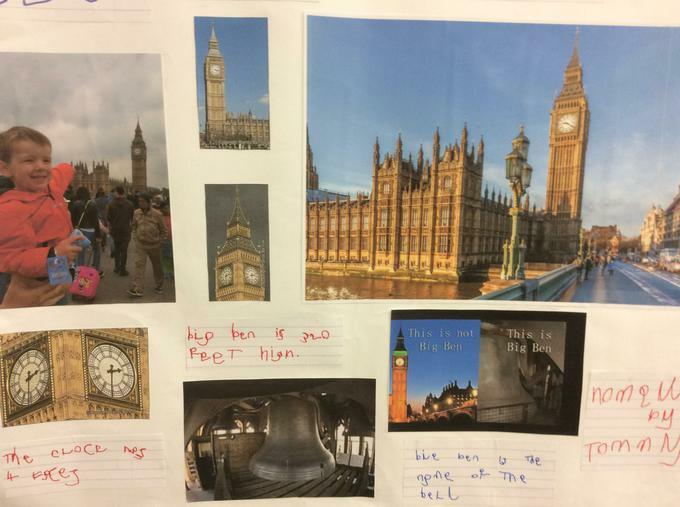 The children have been inspired to show off their writing using these boards. We were looking forward to the royal wedding of Prince Harry and Meghan Markel. 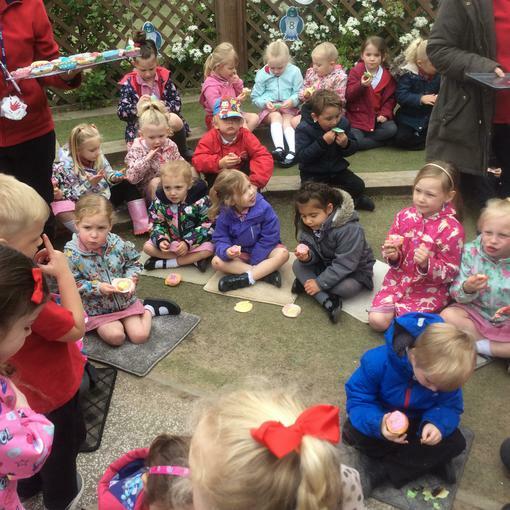 The children were excited to have a party on Friday. 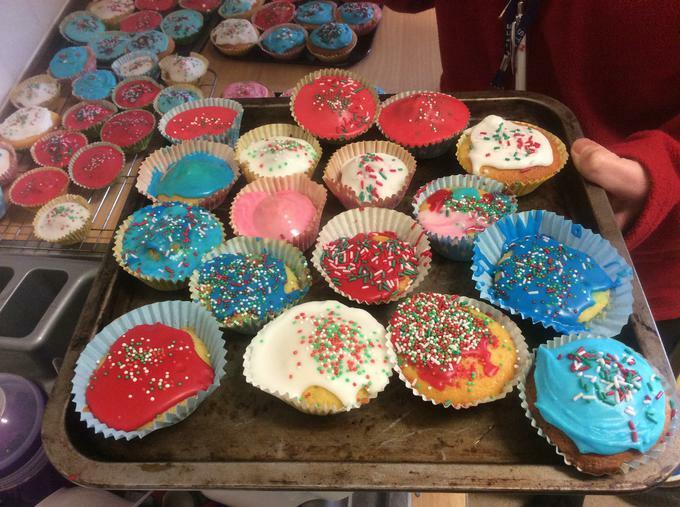 We made cakes and iced them red, white and blue. 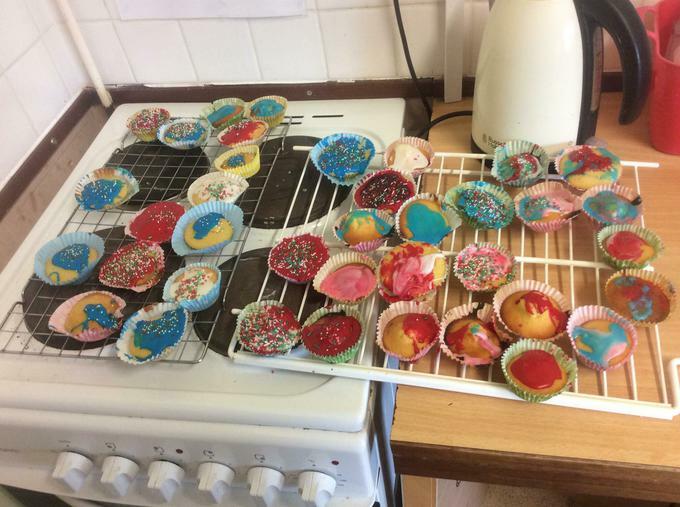 They were yummy. 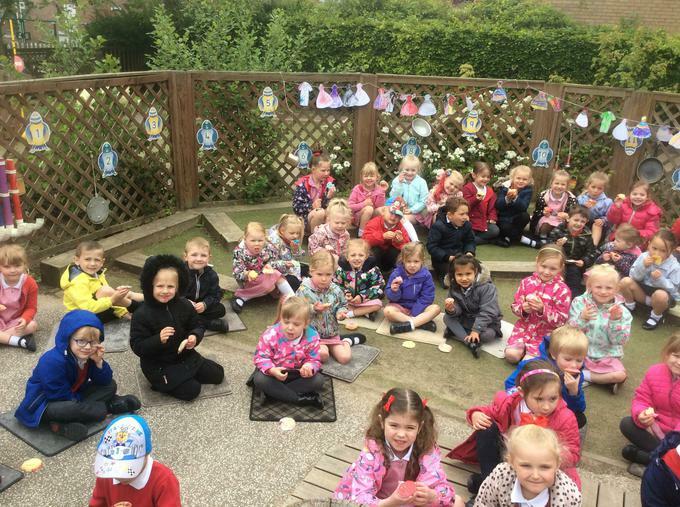 Together we had a special picnic with pink milk. 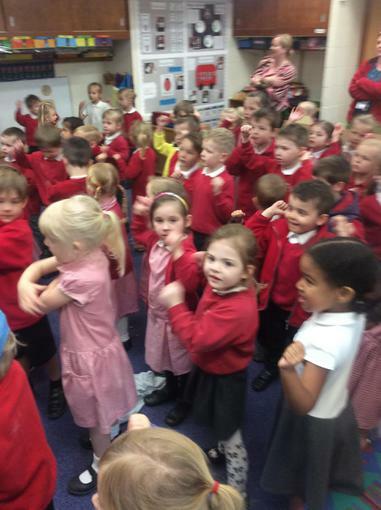 We danced and celebrated the special day. 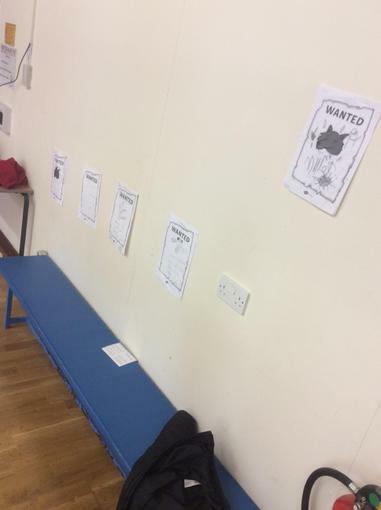 The children have been talking about 'Waffle the wonder dog', so we decided to go with their interest and have that as our focus this week. 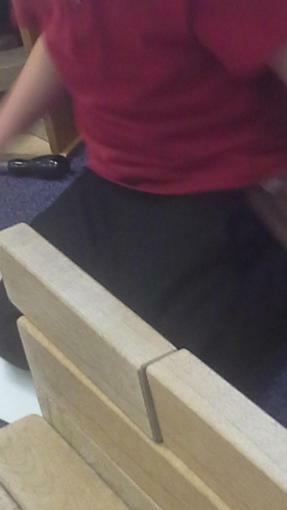 We watched an episode of Waffle on his dog training and discussed how to train a pet and what pets we have at home. 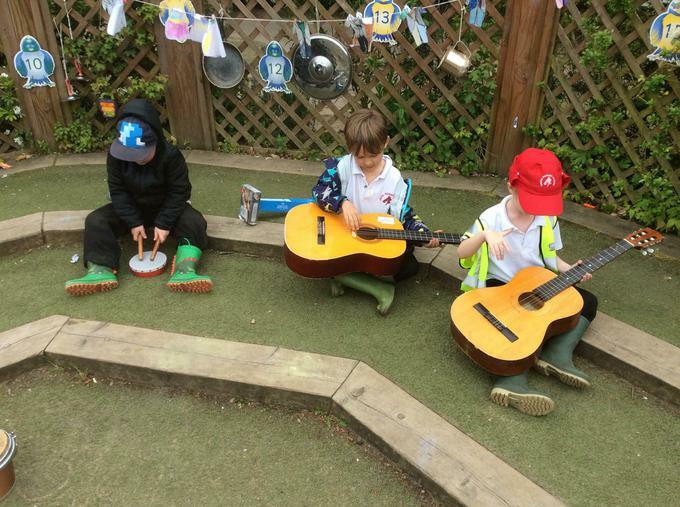 The children have been so excited about Waffle, they have been writing sentences and stories about Waffle and his adventures, making a house for Waffle and creating music/singing along to the theme tune as well as many other things based around the program. 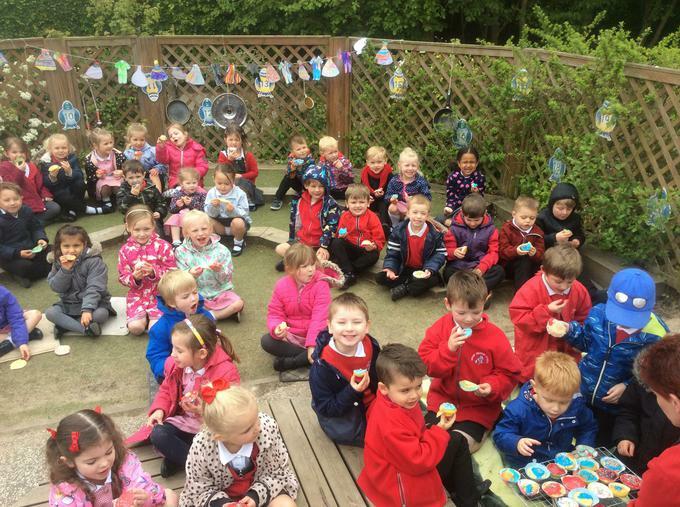 Thank you to all the parents that came to our Reception lunch on Monday 21st May. 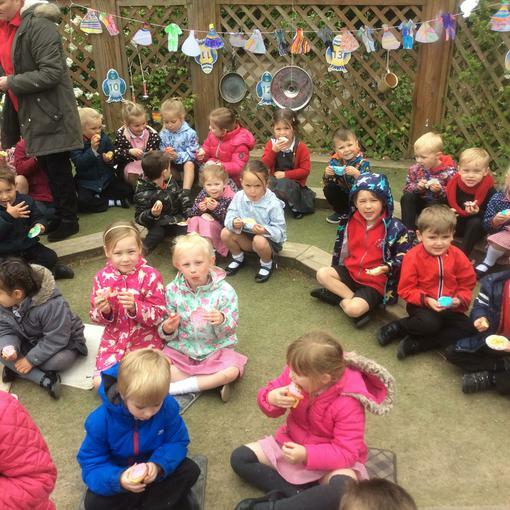 It was lovely to see so many parents come along and enjoy a lovely hot dinner with us. 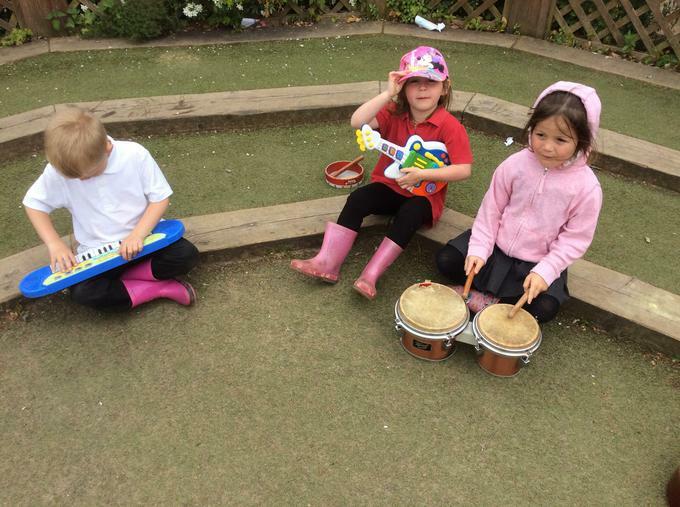 The children have thoroughly enjoyed exploring the musical instruments this week. 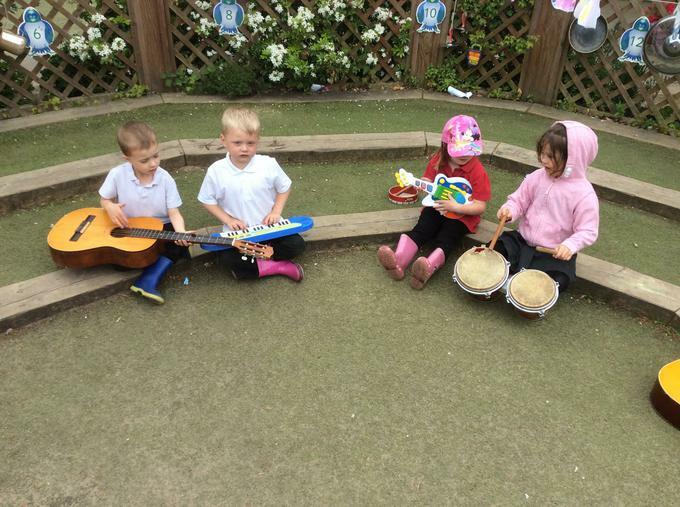 We have had lots of team work happening forming a band together to create some wonderful music. 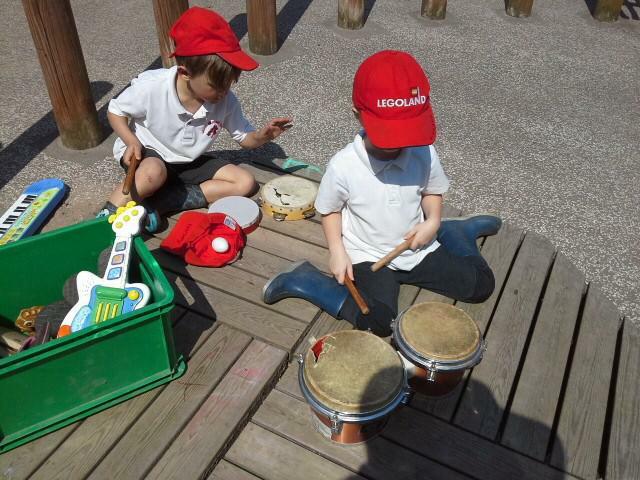 Some of the children have looked into the different pitch and rhythms the instruments make. 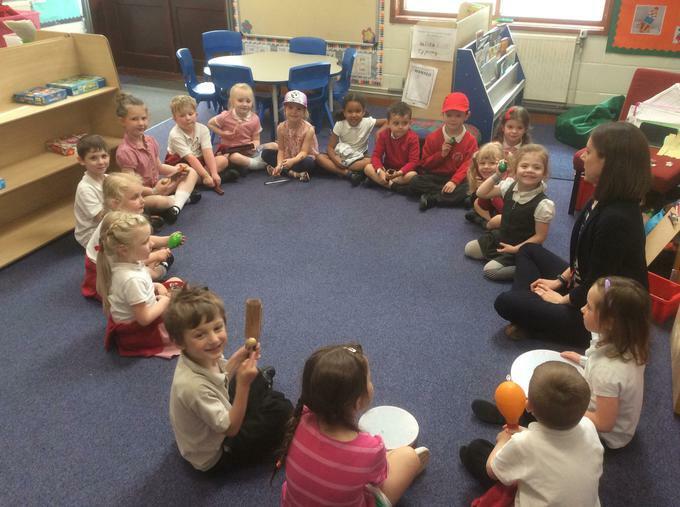 We were very excited to sing Waffle the wonder dog theme tune and create some music to go along with the beat of the theme tune. 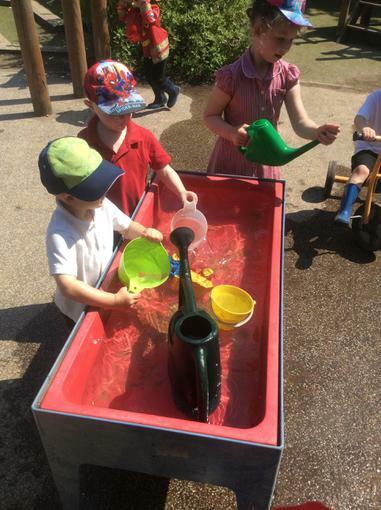 The children have been enjoying spending lots of time outside lately, we have been lucky and the sun has been shining. 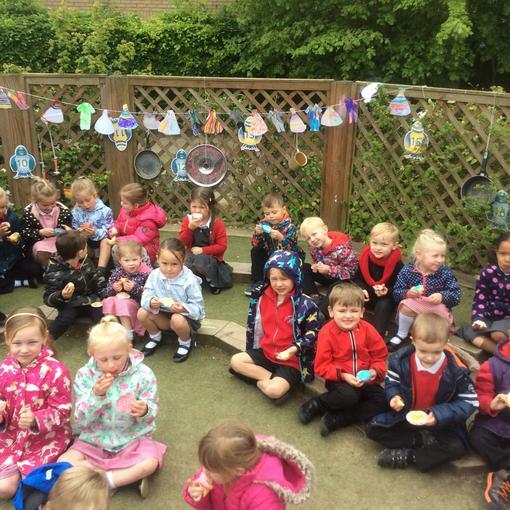 We have had lots of opportunities to plant seeds in our outside area over the past few weeks. 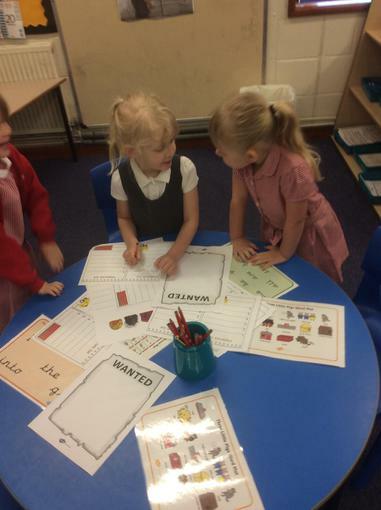 The children have talked about what they need to grow and understood how we can look after them. 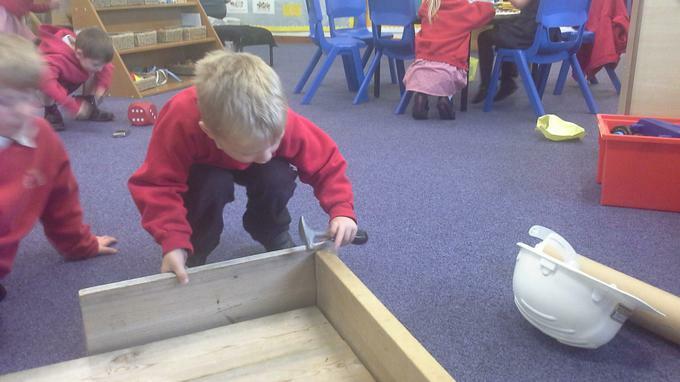 We look forward to seeing the plants grow. 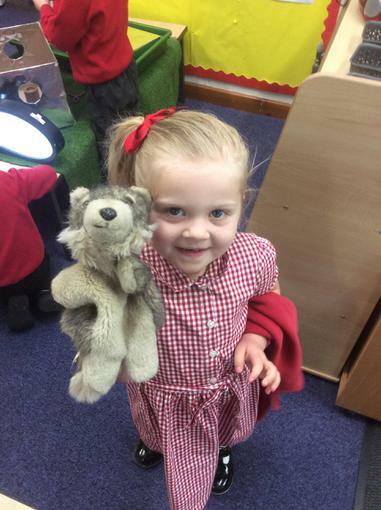 We hope you have a lovely week off and enjoy making lots of lovely memories. 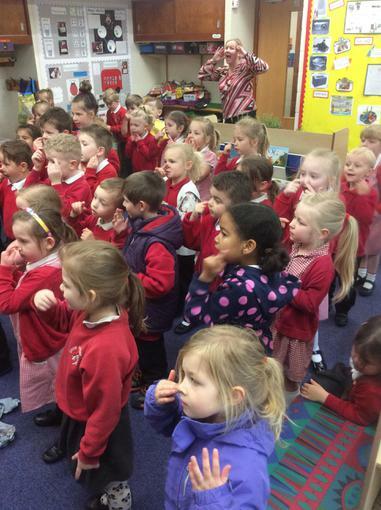 Stay safe and we look forward to seeing you after half term.